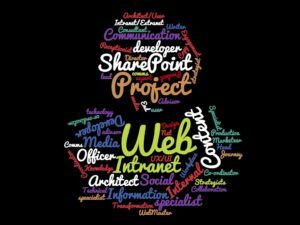 This post looks at the different job titles for those managing intranets and suggests some ways to make recruiting and defining your role easier. Whether you are looking for your next role or recruiting for a new star player in your team, a great job title is key. In this day of SEO, the right label is key. 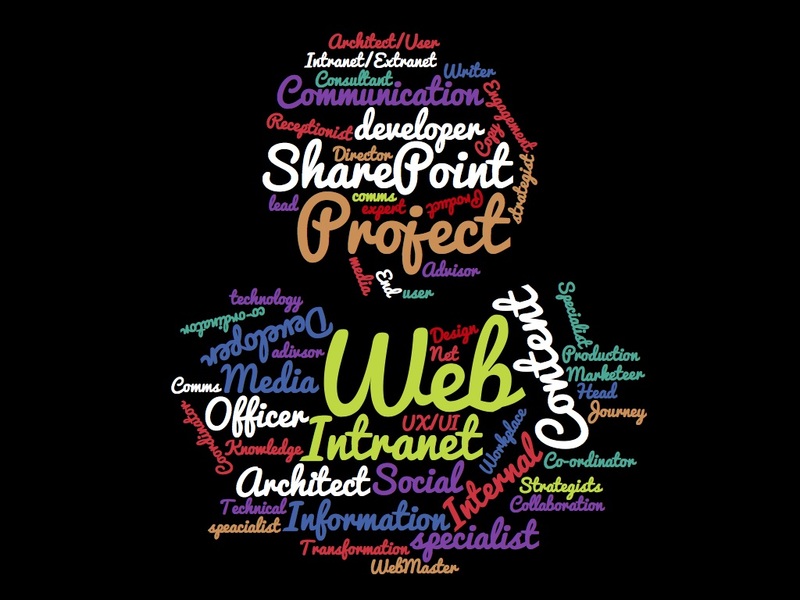 Over the years I’ve had a few different roles, from Webmaster, Intranet Project Manager, New Media Manager, Platform Manager. The roles were very similar, but some titles I found seemed clearer than others. This made it easier to explain to people what I did day to day and thus, how I can help them. Given that intranet and digital workplace management is a relatively new role within many organisations and developing rapidly, it seems there is little consistency around job titles. What should the role cover and how should the title explain this. So for many organisations intranet and communications go hand in hand. Communications is often the business owner and so it makes sense to have a communication focused role; Communications Officer or Internal Communication Manager. I suspect some companies don’t really know what they need to maximise their intranet and so focus on what they know, Communications. It should be clear whether the role is an Intranet (Communication) role rather than a Communication (intranet) role. Though we see roles for Content Managers, Digital Communications or even Social Media Co-ordinator. Of course, content is critical on any intranet and these role enable partnering with IT and other members of the intranet community to make progress. For some companies, it seems the job of intranet work is delegated to Management Assistants, Receptionists, HR co-ordinators or individuals in another specialism where their focus and skills might not be best aligned. The intranet is like the web, right? It’s Digital, right? Some job titles appear to take the labels from the internet world and use these. In many respects these are fine and work. However, is there an overlap? Will you be managing the intranet and the internet? Also, personally, I think Digital to too broad now. Just as some roles lean towards Communications, others clearly have an IT focus. Those which specific the technology help frame the role, others, such as Intranet Manager can sometimes be too vague. Digital Workplace roles seem more focused in the IT realm, with DevOps roles and Windows desktop roles. In my opinion ‘Product Owner (intranet)’ is the most mature role in the intranet field. ‘Project Manager’ belies a key issue intranets suffer from, one which Sharon O’Dea explores in the excellent post Intranets are products not projects. Product Managers come from a variety of backgrounds. They don’t tend to code, but they have a strong enough technical understanding to be able to effectively translate between the business and development team. What makes a great intranet job description? What do successful intranet managers have in common? Catherine Grenfell, from StepTwo explores the key DNA of intranet managers. Ephraim also explore how Intranet Managers should re-write their job descriptions in the social intranet era. What’s your job title? Has it changed much? Does it sum up what you do? Does it matter?